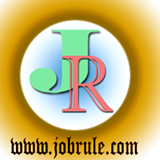 Intelligence Bureau, Government of India, New Delhi, published/Declared IB PA & JIO/Tech Jobs Written Test Result 2014. Based on the performance of MHA (IB) Written examination held on 29th June (29/06/2014) for the post of PA & JIO-II/Technical ,MHA-IB Declared provisional Result with Roll Numbers with Corresponding Registration No for skill test in Stenography and Trade Test followed by Interview for the Post of JIO-II/Tech Recruitment 2014. The Trade test followed by Interview for the post of JIO-II/Tech is to be held on August 27 to August 29, 2014, while Stenography skill test for the post of IB P.A will be held on 30th August, 2014. The candidates are directed to visit MHA official website to download the call letters/Admit Card/Hall Ticket including Attestation and SSQ form w.e.f 1st August, 2014 onwards. To Check full result details , simply click below given direct link. Wish you all the best.